T here’s no debate that consumers worldwide have become increasingly interested in knowing about how their food and beverages are made, and more importantly, what they’re really made of. By definition, biogenic amines are a group of compounds dubbed “biogenic” to express their ability to induce physiological change, and they are formed by the enzymatic decarboxylation of amino acids. 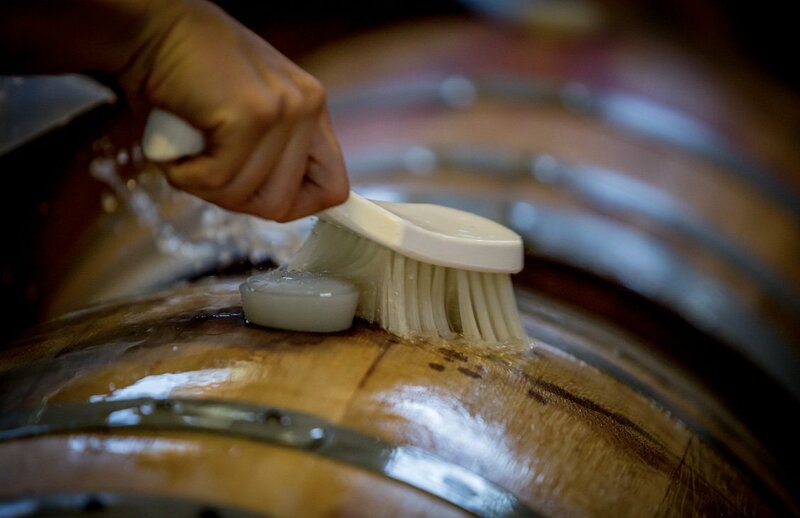 Adaptations of winemaking practices continue to evolve as consumers demand stricter regulations and ingredient transparency in order to ensure their protection. With the increased speculation into production standards, the wine industry must be able to examine current operations in order to meet these demands, which may also serve as consumer benchmarks of quality. A major topic of discussion over the last decade or so has been regarding the concerns of a class of nitrogenous compounds known as biogenic amines. Generally, the abundant existence of biogenic amines in wine is viewed as an indication of poor winemaking practices. Yet, due to the fact that biogenic amines are naturally found on grapes, their presence in wine is practically unavoidable. Nevertheless, concentrations will vary depending on grape variety, viticultural practices, and grape-growing conditions. What seems to be of the most concern is that biogenic amine levels may increase due to the activity of spoilage bacteria during the wine’s aging process. Biogenic amines found in wine are histamine, tyramine, cadaverine, and putrescine (which are derived from the amino acids histadine, tyrosine, and ornithine, respectively). Spoilage organisms from the lactic acid bacteria genera such as Pediococcus, Oenococcus, or Lactobacillus can contain decarboxylase enzymes. When these organisms are present in wine, the enzymes they carry can interact with the existing amino acids and remove the carboxyl group from them, thus forming biogenic amines. Biogenic amine production is most likely to increase during malolactic fermentation (MLF) while the wine is more susceptible to spoilage organisms (because the wine has yet to receive sulfur treatment to allow for the completion of fermentation). It must be noted, however, that biogenic amine formation will also vary depending on wine varietal, the availability of an amino acid source, and certain wine conditions such as pH, alcohol content, and sulfur dioxide levels. Meanwhile, vineyard sprays, initial malic acid content, and phenolic content may also, at times, have a more minor impact on biogenic amine formation. Cleaning of all equipment and infrastructure is important for reducing microbial levels that may otherwise result in higher quantities of biogenic amines. Biogenic amines can have negative impacts on consumer health, as well as the wine’s sensory attributes. Elevated levels (between 50-100mg/L) of biogenic amines typically cause a reduction in wine aroma. Even higher levels (more than 100mg/L) can cause undesirably meaty, putrid, or metallic aromas. It isn’t hard to gather that although drinking a wine with diminished sensory traits may be slightly unpleasant, the bigger issue here is negative health effects on the consumer. Studies have concluded that while putrescine appears most frequently, histamines are the most hazardous to human health. Histamines have been thoroughly researched since the early 1900’s when they were discovered to be produced by the body when faced with an allergic response. Many people use “anti-histamine” medication to help reduce the negative side effects of histamine production during an allergic reaction. Generally, the quantities of histamines found in wine are low enough so that these symptoms will not appear in most people. However, some people may suffer more severely from the adverse side effects of histamines due to having a histamine intolerance and lacking the capability to properly metabolize the compound. Histamine accumulation can occur in people with this intolerance for a number of reasons and cause health concerns. 1) Alcohol has the ability to inhibit the natural bodily reduction of histamine through enzymatic reactions. Diamine oxidase (DAO) is the enzyme mainly responsible for metabolizing ingested histamine. Ethanol is known to be a powerful inhibitor of DAO, which in turn, prevents the proper degradation of histamine. 2) The presence of other biogenic amines in wine or in histamine rich foods may add to the accumulation of histamine in the body by competing for enzymatic activity. DAO and other enzymes cannot accommodate the higher levels of biogenic amines to metabolize, and thus creates an excess buildup. If histamine intolerance is a concern for consumers, they should avoid histamine rich foods such as fermented meats and cheeses and seafood while consuming wine. 3) The presence of acetaldehyde in wine can actually increase the body’s production of histamine. Similarly, when alcohol is ingested, the liver converts the alcohol into toxic acetaldehyde (which is normally quickly broken down into acetate), then carbon dioxide and water. The buildup and inadequate breakdown of acetaldehyde in the body increases histamine production, and consequently, causes those classic “hangover” or allergic reaction-like symptoms. While there has been extensive research done on the effects of histamine on the body, tyramine is also known to be a major factor for headaches. There are several strategies that may aid in the overall reduction of biogenic amines when making wine, all of which we incorporate into our daily routine here at Gravity Wine House. Most importantly, proper sanitation and hygienic production practices, as well as maintaining a wine pH below 3.5 (to prevent the growth of spoilage organisms), can contribute to the prevention of biogenic amine formation. Furthermore, the use of reliable commercial cultures to entice speedy MLF completion may also be beneficial in this regard. 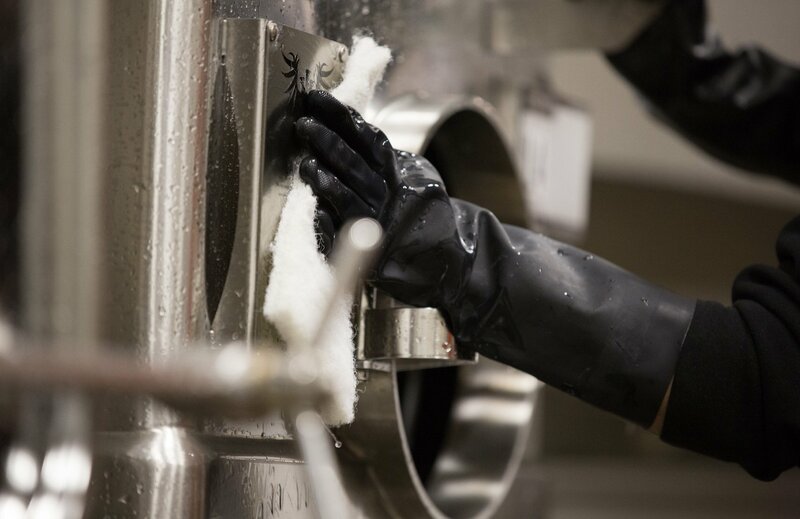 Keeping the cellar equipment clean and sanitized helps regulate the occurrence of biogenic amines. 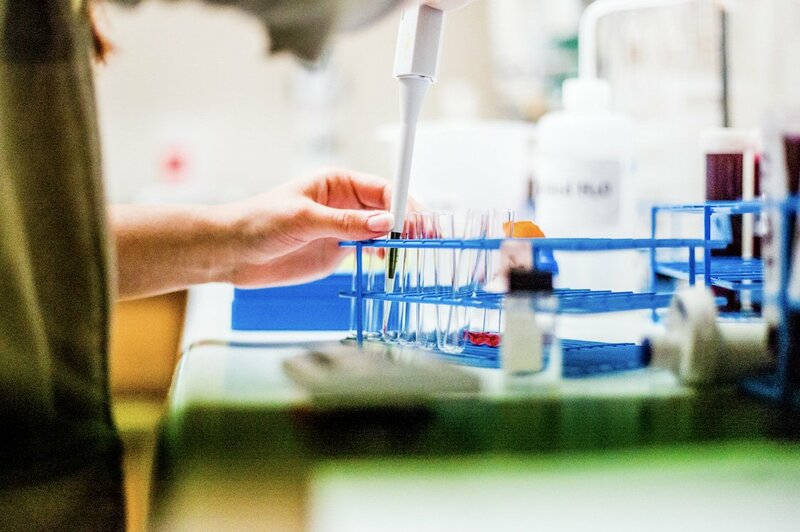 Due to low concentrations, strong polarity, and complex matrices, scientific methodology for determining biogenic amines in wines still challenges the industry today. The most commonly used technology is liquid chromatography, while gas chromatography and capillary electrophoresis are also widely accepted. Preparation of the samples in order to isolate the target compounds, as well as to remove some compounds that could interfere with analysis, often take place before analysis even begins. There is also typically another process known as the “derivatization step” that is further required to obtain appropriate detection and results. These steps can be costly and time consuming, and thus the search for a faster, less expensive, more reliable, and more accessible method still remains. Currently, there are no specific regulations or restrictions regarding biogenic amines in wine. However, given that the toxicity of these compounds in some people can cause major health issues, the debate has been whether to treat them as allergens or not. In recent years, the European Union has discussed proposals that would subject biogenic amines to allergen regulations. Although no policies have been implemented yet, several European countries have posted their recommendations for maximum histamine levels. For example, Germany recommended a maximum level as low as 2mg/L, while France recommended a maximum at 8 mg/L. Switzerland has published a histamine tolerance of 10 mg/L, but it has suspended enforcing this restriction on imported wines. At the same time, the EU continues to develop their own regulatory framework on this matter. For years, biogenic amines have been researched and discussed regarding their negative impacts on wine quality and consumer health. Some wines are even certified as “low histamine” and are specifically marketed to people with histamine intolerance. The increasing demand for product transparency has prompted many countries to take a look at their current winemaking practices as proposals for regulations are in the works. Although there are currently no legal restrictions, advancements in scientific methodology that make determining biogenic amines more accessible may entice legislators to pronounce limitations that must be tested and enforced. While in the past these compounds may have flown largely under the consumer radar, wineries should keep in mind that the prevailing opinion is that biogenic amines are akin to inferior winemaking, and can cause unwanted side effects – and that this may determine market trends in the future. Ultimately, it is important and an obligation to consumers that wineries follow production practices that minimize the potential level of biogenic amines. Wines should be tested in the lab for traces of biogenic amines, as shown here at the Gravity Wine House lab.